Keeping you connected in Japan! Save 20% on your Rental! 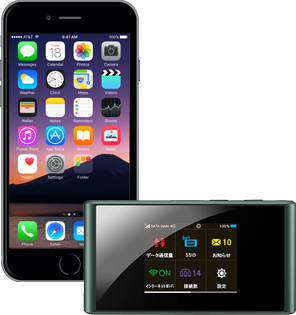 Japan Deluxe Tours is partnering with Ninja-Wifi to keep you connected while in Japan! 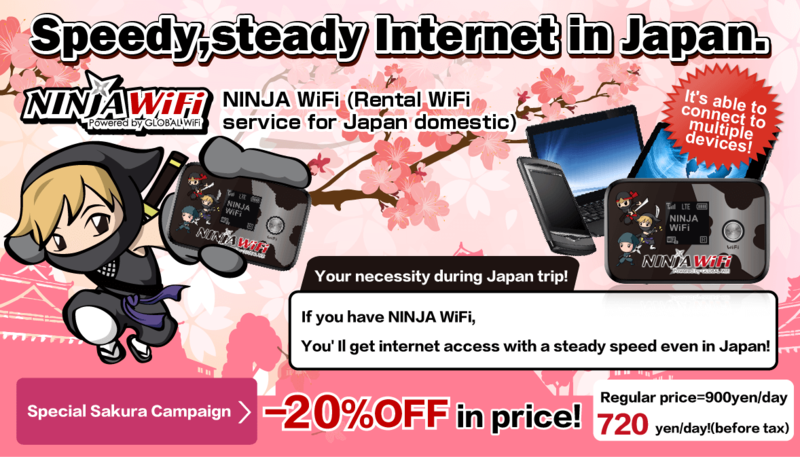 For a limited time, Ninja-Wifi is offering a 20% discount on your rental! What is a Mobile WiFi Router? A device allowing you to use the Internet on your smartphone, tablet, etc. by connecting to the local mobile phone network. By connecting to the local mobile phone network, you can enjoy the Internet as usual without incurring expensive overseas packet communication fees. You can share with others! While there are many options to select for your Wi-Fi needs in Japan, we would like to introduce you to Ninja-Wifi and their easy to use Wi-Fi renting services! It couldn't be easier to reserve a rental Wi-Fi. You can pick up your router at the airport, pickup counter, or have it delivered directly to you. When it's time to return, just drop it off at the airport or return by delivery! Different methods and places for pick-up and return are acceptable! Choose between picking up your router at the airport, via delivery service, or directly at their Shinjuku counter. Example: [Pick-up] Haneda Airport → [Return] via Delivery Service. Using your Wi-Fi is as simple as turn the router on when you want to use it, enter the password, and enjoy! Choose between dropping off your router at the airport counter, drop-off box, or via delivery service. Don't forget, different methods for pick-up and return are okay! Limited Time! Enjoy Discounted Wi-Fi Rentals!